Even in the modern era, one of the best investments for your home is a stunning oriental rug. It seems to be one of those iconic pieces that never goes out of style. The can suit almost any decorating taste and the process of picking out your rug can be incredibly exciting. So here are our 5 tips to picking out your perfect oriental rug! One: Make Sure You Measure! You absolutely need to measure your space before you go shopping for your rug. Measure out the space where you want the rug to sit and write those measurements down. Make sure you bring them with you. Rugs are generally priced by square foot so it is best to know exactly what size you need so you don’t spend too much – either buying a rug that’s too small and needing to get a replacement, or one that is far too big! And it will help you narrow down the right rugs in the right price range. Two: Love The Rug You Choose! Don’t just pick the first rug you see, or the cheapest rug, or the first rug that fits your space. 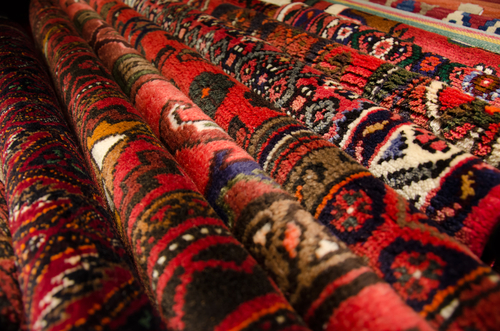 Not only are oriental rugs expensive investments, but they are often the most eye catching piece in the room. You want something you’ll love, that will express your style and your character. So make sure you’re absolutely, 100% happy with the look, style, design and durability of the rug before you bring it home. You need to know it will add decorative value to your home! Testing the density of your new rug is a must. It is one of the best indicators of the quality of your rug as well as its ability to stand up to the traffic that area of your home will experience. You can test the durability of your rug by gently pushing your fingers down to the base of the rug. If the knots feel tightly packed then you can tell that the rug will be more durable. Four: Rug Quality is Important! Rug quality is another important factor when it comes to picking out the ideal oriental rug for your home. There are a number of indicators of a good quality oriental rug. Machine made rugs are nice to have – especially for new home buyers and young families – as they function well and look nice. However, they will never compare to hand woven rugs when we discuss rugs in the terms of being works of art. You can certainly tell the difference between a hand woven rug and a machine woven rug, especially when assessing the fringe. You can tell if a rug is made by a machine if the fringe is sewn into the rug, rather than being a natural part of it. Sometimes these rugs are easily mistaken for hand woven rugs. However, even though there is a person involved in this process, much of it is still done by a machine. The weaver uses a mechanised gun that shoots the wool through the backing that has a pattern sketched on it. Instead of knotting, these rugs use a petroleum based backing that ensures the ends do not fall apart – a backing not used in hand-woven rugs. 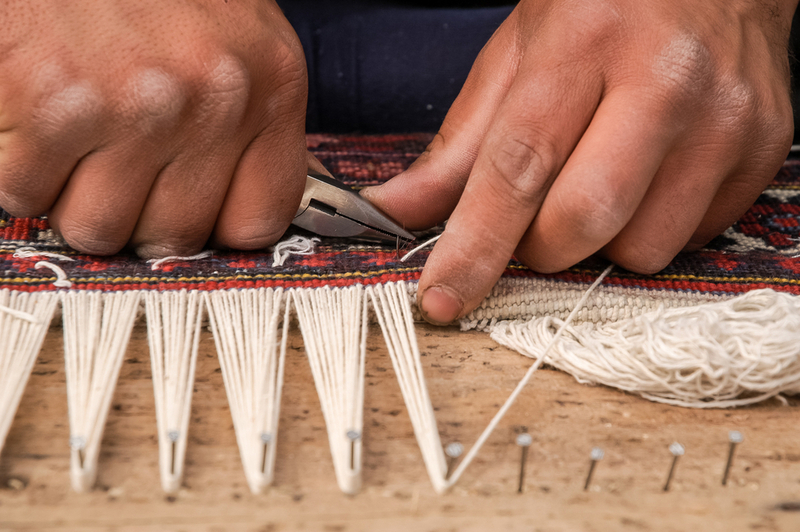 As the name suggests, hand woven rugs are made by hand. This gives them that true, high art feel and makes them one of the most sought after types of oriental rug – as well as being considered the most high quality type of rug. Hand woven rugs are created on vertical strings attached to a loom. Wool is then woven through these vertical strings – known as warp strings – and knotted. The way to tell the difference between hand woven and machine woven rugs is to look at the fringes. Machine made rugs have a fringe sewn into a rug while the fringe on a hand woven rug is actually the ends of the warp strings that have been knotted. 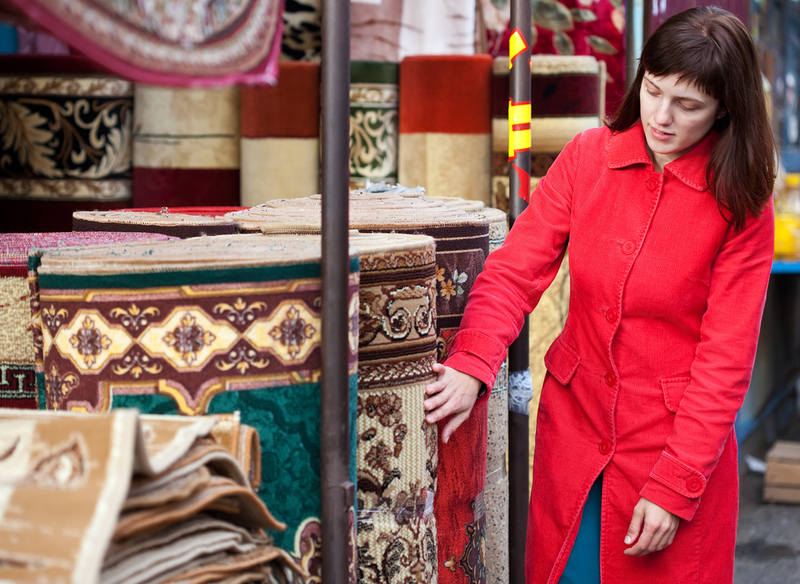 Finally, you need to make sure the quality of your rug materials is the best it can be! Good quality wool will have a certain lustre or sheen to it but it won’t be shiny. Bad quality wool or rugs made from petroleum-based products – like nylon – will create a shininess that will indicate their poor quality. While nylon rugs are fine for first home buyers and those just starting out, if you want a long-lasting rug or a true investment, you must take the time to find something made from high quality wool. It will also make an enormous difference when it comes to cleaning as it can be difficult, if not impossible, to clean many petroleum based rugs. If you have an oriental rug that needs cleaning, contact Woods Rug Laundry today! Our team are experienced in the specialised care of delicate, antique textiles!